Forget about embedding a chip on your shoe. Use the original bibchip! No huddle at all! The bibchip concept stays the same. Tried and tested technology. All required data are stored on the 2 UHF RFID Transponders on the back of the bibchip. Now, at the start and finish, the athletes don’t have to ensure their signal transmitter is in the right place. 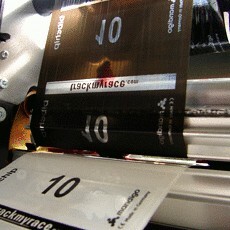 The information on the back of the start number is read without the need for physical contact of a radio antenna. 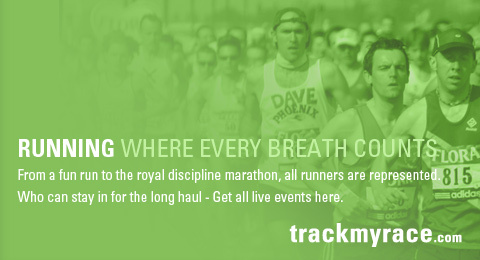 The actual advantage is the high accuracy of identification as the runners start, interim, and finish times are definitely captured immediately. The benefit of the UHF integration into the bibchip world is to beat down the prices of chips and timekeeping systems. Mandigo as market leader in the bibchip production is setting a new technical standard. So join our group and be a part of our success story. mandigo lauchnes a new active transponder, the biactiv. After the big success story of the passive transponder the bibchip, in the running markets, mandigo launches a new product in the active sporttiming technology. The biactiv transponder fits perfectly in the growing sport markets biking and triathlon. Two chips are integrated in the biactiv Transponder. The combination of NF and HF technology in just one product,gives the graet opportunity to track fast sports with a great accuracy. The mandigo GmbH is a spin-off of the Fraunhofer institute for reliability and micro-integration and was formed in 2002 by Ralf Nagel and Arno Stein. Their purpose was to exploit their know-how in transponder technology and push the development of automatic identification on the market. Priorities for the development of the bibchip were integration of the transponder into the start number and low production costs of single chips in order to use them in all kinds of mass sport events. Today the convincing bibchip timer technology provides the basis for a unique network of bibchip timekeepers. Most runs in Germany are already timed using this technology – but the bibchip also has excellent references in Austria and Switzerland. By now this successful technology has begun to spread throughout Europe. In an open franchise model the long-time experience of the timekeepers combined with the smart technology enable an unbeatable collective offer. In this connection bibchip is the basis for the professionalizing of running events.